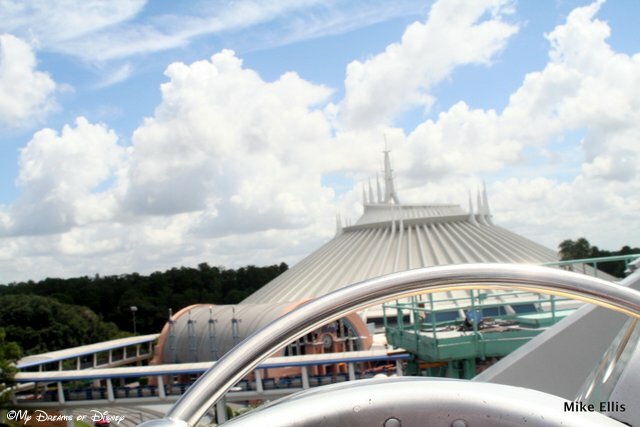 The Astro Orbiter rides high above Tomorrowland in the Magic Kingdom. Hello everyone, and welcome to day 93 in our #DisneyWorldCountdown! Today is Friday, and we are officially sitting at 14 weeks and 2 days until we arrive at our destination: Walt Disney World! For today’s post, we are going to take a look at the Astro Orbiter, one of those rides that is really cool to see, but for me, it’s kind of annoying to ride because the line to ride it is so long and so slow moving! So, as a result, we don’t ride it very much, but we do ride it sometimes, and I think this year I might ride it once at night to get a different perspective on it all. The Astro Orbiter beckons you to experience it and blast into outer space! 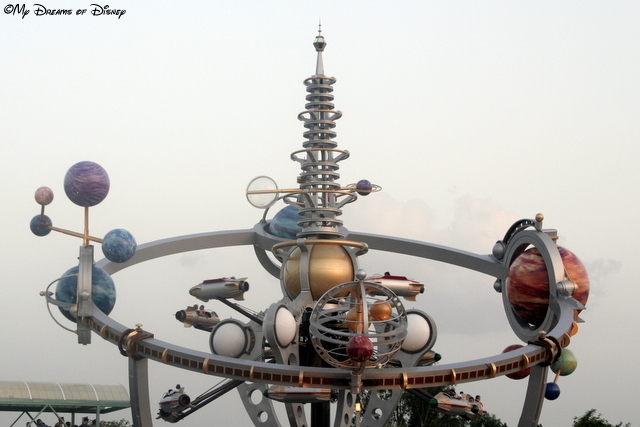 Visually, the Astro Orbiter is quite appealing to look at, with it’s multi-colored planets and moons staring at you, and it also provides a great perspective for you to see many of the sites around Tomorrowland. It is similar to it’s neighboring attraction the Tomorrowland Transit Authority in that both of those attractions provide very unique views of much of Tomorrowland, and it’s those unique views that really provide a great opportunity for you to enjoy a different side of the Magic Kingdom. I don’t have very good on-ride pictures, but here are what I’ve got — as you can see, one shot provides a view all the way over to the Grand Floridian! 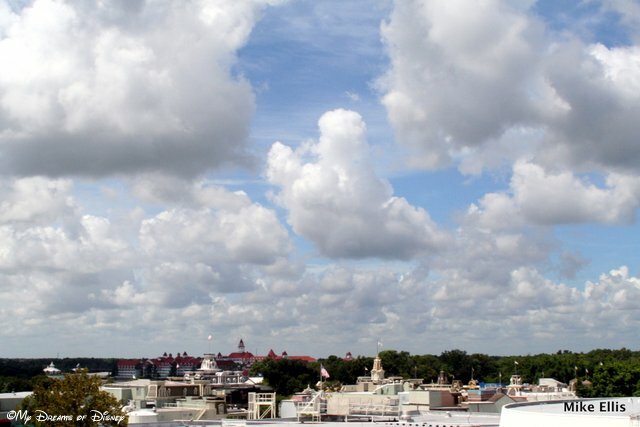 A look all the way over to the Grand Floridian. 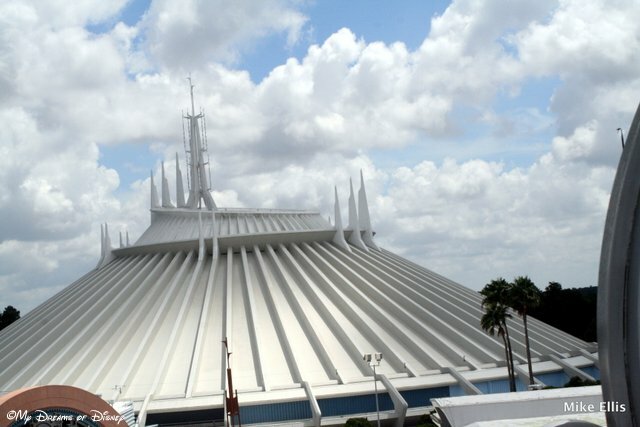 Part of the space ship and Space Mountain. So tell me — what do you think of the Astro Orbiter? Ride it, skip it, or something else? Let me know in the comments, please, and thanks for stopping by! 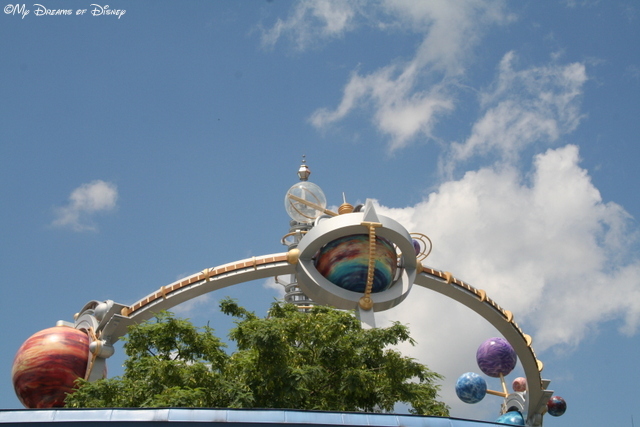 59 Days til Disneyland – Astro Orbitor!